Marcia Haffmans, Esq. founded her own boutique law firm in 2000, concentrating her practice on international business and general commercial transactions for small and mid-sized companies across a wide variety of industries. Representative industries include life sciences, IT, industrial machinery, agricultural equipment, and chemical and consumer products. Ms. Haffmans graduated from Radboud University law school in Nijmegen, the Netherlands and received her Dutch law degree (Meester in de Rechten) in 1987. Over the next year, she worked at the firm of Allen & Overy, Solicitors in London, UK and returned to The Hague, the Netherlands in 1988. While there, she was admitted to the bar of the Supreme Court (Hoge Raad) of the Kingdom of the Netherlands and practiced general civil and criminal law for three years as a Dutch attorney at the law firm of Wladimiroff & Spong. 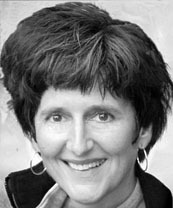 After relocating to the USA in 1991, Ms. Haffmans obtained her American law degree (Juris Doctor) at William Mitchell College of Law and became a licensed Minnesota attorney in 1993. She practiced international and commercial law and litigation for six years with the firm of Coleman, Hull & van Vliet, PLLP (currently Heley, Duncan & Melander, PLLP) in Minneapolis, Minnesota prior to establishing her firm HaffmansLaw. Ms. Haffmans has a unique insight into two different legal systems from within two cultures. She is fluent in several languages, including Dutch, French, German and English. Ms. Haffmans' cross-cultural experiences facilitate solutions for international-related legal and business issues with an emphasis on risk mitigation as part of a proactive, global approach. Ms. Haffmans has published various articles about international and commercial law issues, a sampling of which you can find here. She is a frequent lecturer of legal topics in the international arena and is regularly invited as a legal business professional at intercultural and cross-cultural training sessions. Ms. Haffmans is the Regional Coordinator for ELAN (Export Legal Assistance Network) since 2005. ELAN is a cooperative program among the Federal Bar Association, U.S. Department of Commerce and U.S. Small Business Administration (Region: Minnesota, Wisconsin, North and South Dakota). Ms. Haffmans provides extensive pro bono legal services through organizations such as Volunteer Lawyers Network, Immigrant Law Center of Minnesota and LegalCORPS. She is a recognized North Star lawyer since inception of the certification program by the Minnesota State Bar Association. © Copyright 2015 Haffmanslaw | All rights reserved.